In 2016, FormFlow founder Dr Matt Dingle approached Geelong based engineering company Austeng for assistance to develop a prototype machine to validate a new bending concept. 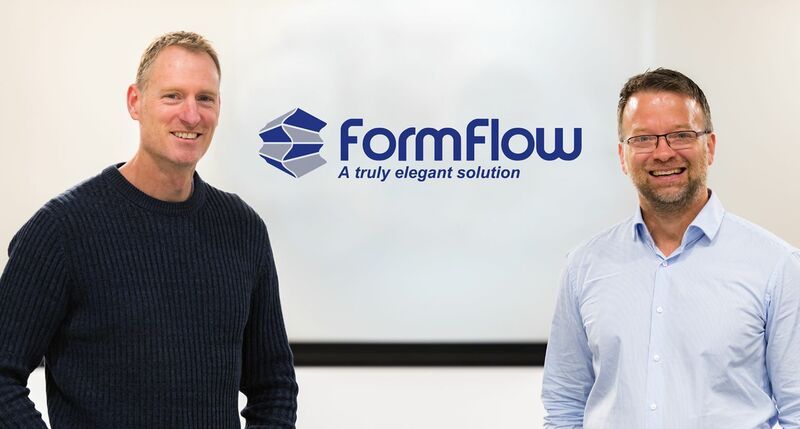 Following successful preliminary trials in September 2016, FormFlow Pty Ltd was born. Dr Matthias Weiss from Deakin University joined Austeng’s Ross and Lyn George and Dr Matt Dingle as co-founders of the new venture. Over the next six months FormFlow and Austeng collaborated on developing an industrial scale machine to bend commercial grade corrugated sheets. The science of our work is based on research by the late JP (Jim) Duncan of the University of British Columbia and his cousin, JL (John) Duncan then of McMaster University, Canada, and later The University of Auckland, NZ. They discovered the mathematical theorems of folding ‘inextensional’ curved sheet. ‘Inextensional’ is a geometric term meaning that the sheet cannot stretch or shear, and deformation is limited to a sharp bend. Such folding has been practised for many years in the art of origami. Identifying the mathematical rules governing it permitted the design of these shapes in a computer-aided design system.. Because the sheet is not stretched, high strength, low elongation sheet such as roofing steel can be shaped in this way.